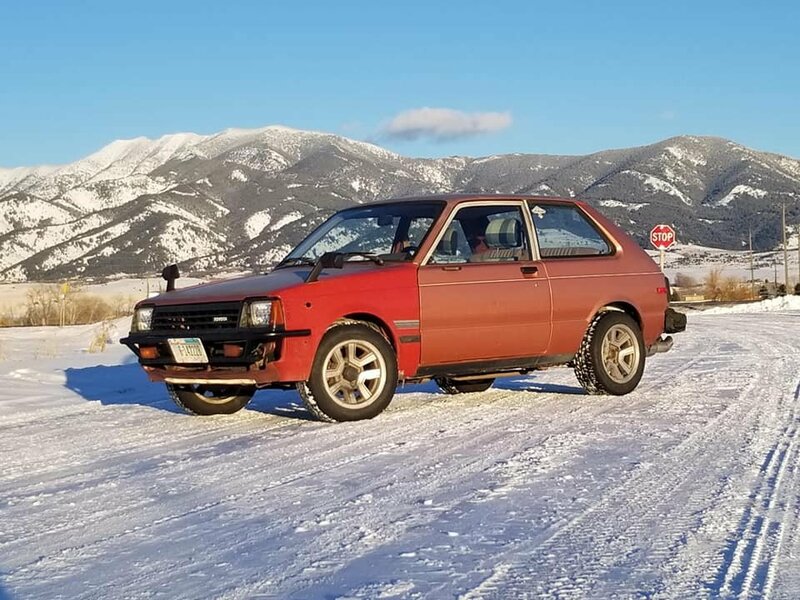 Any questions or comments please let me know what you think of my project starlet. Oh what i would do for a 4KE race cam. To hear this little motor lump would be dreamy. USDM 4KE was rated for something pathetic like 58 hp. If you ever get a LSD for the rear end I can sell you uprated clutch disks to make it work better. Weird seeing an O2 sensor on a 4K. Back in my day people welded diff's. I would rather pour lead in them. The axle shafts will thank you. So... what will you do about the rear bumper? As in body fill lead? Does it help take some of the harshness out of it? That's good to know. I do want an lsd eventually. But finding one I the USA is nearly impossible. If I do get one I will let you know. The rear bumper all though being an eye sore will have to stay for a while. It is a nice resting spot for my bum when at the car meets. All though a nice similar style rally bar would be fitting. Fishing sinkers, solder, any lead. It flexes takes the worst of the shock loading. Love what you did with the front end....but that rear bumper- oh my god. Those carpark and snow skids looked fun! Keen to see more updates. Hey Thanks!! Come spring time I will get the Celica wheels are polished up and shiny again. Awaiting my Milwaukee power tool kit to put in the new suspension.